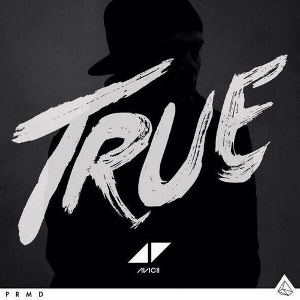 Last week, international music phenomenon Avicii released his first studio album True. The album has received extremely mixed reviews for its genre-crossing experimentation between house and bluegrass. To create the album, Avicii reached out to Adam Lambert, Imagine Dragons, Aloe Blacc and several other popular artists to be featured in his songs. Avicii’s enormous fan base has sent him harsh criticism for his new style, saying he has become “Americanized” and has “lost his touch with the electro world.” In response to the hate, Avicii told press he didn’t create the album to appeal to any demographic, but was simply experimenting with a new sound based on the type of music he has been recently enjoying. His last single “Levels” reached top chart sales for its unique and catchy house sound, and helped him earn the 10th slot on Forbes Top 10 Highest-Paid DJs list with a 7 million dollar income. Personally, I’m not a huge fan of the album. The music seems repetitive throughout the album and I’m not a fan of the electro/country sound in general. Genre-crossing is a risky venture for any artist and though I think Avicii’s is better suited to his EDM roots, his True fans disagree. The first single from the album “Wake Me Up” was released back in June and has since reached the number one spot on charts around the world, proving that his change in style hasn’t changed his appeal at all. I’m curious to see how his live performances will be affected by his change in sound and how the audience reacts to it. All in all, the production quality of the album is very good, and the featured artists are fantastic. If you like folk music and house, then you’ll love True.